The Beckenham in Colour Millennium Project is a unique and wonderful record of Beckenham at the end of the 20th century. 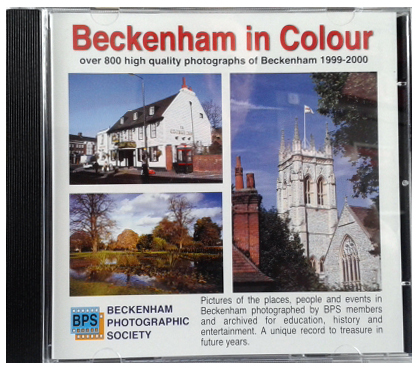 A CD-ROM was produced by the Beckenham Photographic Society showing over 800 photographs of Beckenham. All these photographs are reproduced here under various headings. Beckenham Photographic Society (BPS) encourages the enjoyment of photography and better image making through lectures, demonstrations and competitions, as it has done since its beginnings in 1921. They are among the leaders in Kent and South East London embracing developments in photographic styles and technology, while maintaining respect for and appreciation of traditional techniques.